Are you looking for drought tolerant plant ideas to start your own garden in the heat? Maybe your area does not get a lot of water and you’re looking for water wise ideas. I’ve compiled quite a few desert botanical garden ideas to get your homestead started. Would you like to get through the heat, survive the drought, or just plain enjoy the outdoors without wasting a bunch of water? You’re in luck. We’ve rounded up some beautiful landscaping ideas for your drought tolerant garden as well as some excellent plant options that thrive in low-water conditions. Succulents are beautiful and thrive in low-water conditions. Grow your garden on smaller plots, and avoid lawns altogether if you can! 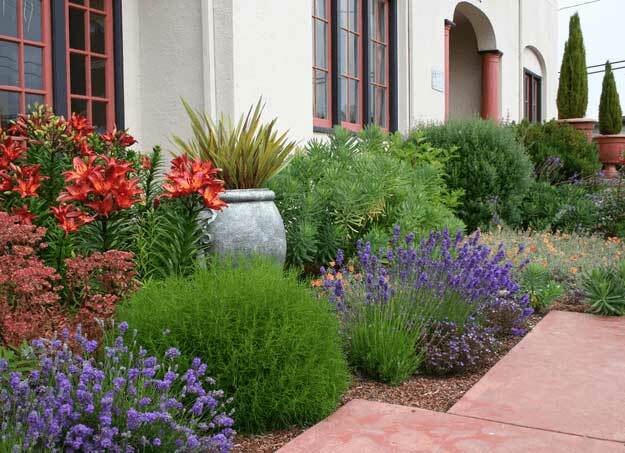 Xeriscape gardening is smart gardening. Learn more here. Plant florals and fauna are native to thrive in your low-water region. Save Water and Make this Drip System Here. It’s so easy. 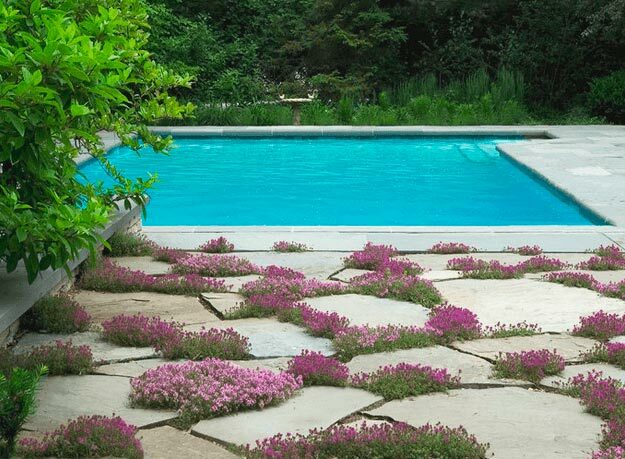 Rocks make for beautiful landscaping (and you’ll never have to water them!…EVER)!! Use drought tolerant plants and have a Mediterranean garden in no time! In the desert? Just add gravel. Play with height for added interest. Who says drought-tolerant gardens have to be all cacti? Similar to the gravel garden, and a little softer on the feet. (Only a little). Keep everything contained for easy water control. Get tips about getting started here. Great idea for pond lovers! Make it here. This garden may be small, but it’s still beautiful! Very zen. Cacti are the ideal desert plant. This garden is beautiful and functional. These grasses are drought tolerant, and very pretty. Success is almost guaranteed when you choose plants that thrive in your region. Embrace the desert with this botanical garden. Shape plays an important role in beautifying your garden. Have fun! Not only are they pretty to look at but you’ll also get tons of benefits. Being able to sustain a garden with low water is the goal. This is just perfect. A forest made out of cacti? I don’t want to get lost in it but I’m sure it’ll look stunning. Living hillside? Then this is the best low-water garden inspiration for you. If you’ve always wanted a living wall, these drought-tolerant ivies are key. It also give you additional privacy by becoming a natural screening plant. Details here. Evergreens have always been a favorite. I’m sure you can see why. A self-watering plant will be a great addition to any garden. Just plant and forget! Add a Spanish flair to your garden with this inspiration. Two things I always look for in a garden, color and texture. Such a great combination, wouldn’t you agree? Great for lounging and a spot where you can admire all your marvelous greenery. Don’t be confused, you don’t really need a dry creek bed. With some creativity and a little landscaping skill, you’ll be able to pull this off. Such a lovely plant to have in the garden. Don’t you just love the pop of color it brings? Horizontal is so normal. Switch it up a bit and make a vertical succulent bed. It looks like a living wall art. Stunning luscious green. Just what every garden needs. Whew! Those are just 40 ideas, I hope you found inspiration in all of them, if not then at least a handful of them! 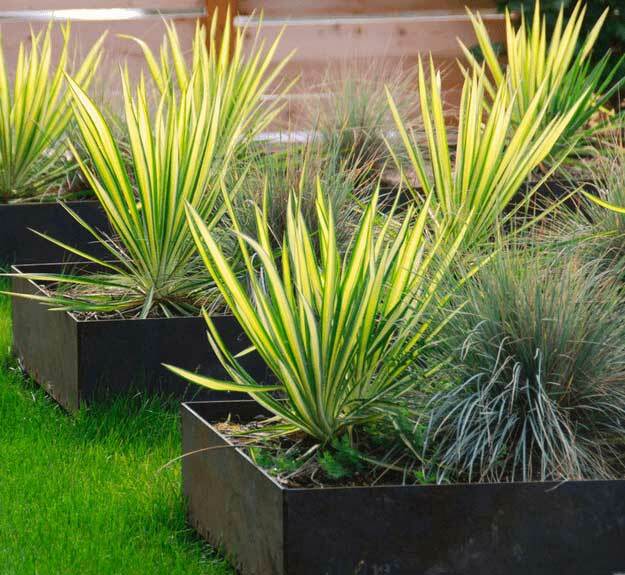 Get your own drought tolerant garden growing so you can enjoy lush foliage year round, even when the water is low. Did this list inspire you to try your skill in making a drought-tolerant garden? Let us know how it went in the comments below!